A HOA management company can help you to take care of your property and safeguard your investment. However, with so many options available, it can be hard to know which company to select. When choosing an HOA management company, keep these tips in mind. Ideally, you need a management company that has a lot of experience working with homeowners associations. Managing a single or multi-family investment property requires a different skill set than running an HOA, and to ensure you get the services you need, you should choose a company that has ample experience helping HOAs in particular. In addition to having general experience, you may also want to ensure that the HOA management company you hire has experience working in your particular area. Different parts of the Atlanta metro area, such as Perimeter, Midtown, Downtown, Alpharetta, Dunwoody, Buckhead, Brookhaven, Sandy Springs, and others, have unique needs and personalities, and you want a management company that understands how the communities work in those areas and what they need. Once you establish that a company has experience with HOA management, you should look at their list of services. You need a company that can handle the day-to-day aspects of managing your HOA, such as hiring vendors and managing capital, but you also need a company that can help you set goals and develop plans. You may also want to look for someone that offers comprehensive bookkeeping services and accounting reports so that you can stay on top of the fiscal side of your business easily as well. To assess how an HOA management company has helped other neighborhoods, you should talk directly with a representative about what they do, and if possible, you may want to ask for some case studies. On top of that, consider looking for a company that has won awards. For instance, Beacon Property Management has been named one of the top 10 property management firms in the Atlanta area by the Atlanta Business Journal, and the company also has an exemplary rating with the Better Business Bureau. Any company can write down a list of services, but to truly move forward, you need an HOA management firm that is committed to improving your community. Talk with prospective firms about how they can work with you to develop a list of community goals, ask them how they can help make your community more attractive to quality residents, and most importantly how their management style can help to drive up property values while also maintaining a vibrant, beautiful, welcoming atmosphere. 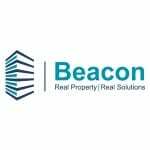 At Beacon Management Services, our motto is “Real Property, Real Solutions.” We can help you with comprehensive management services for homeowners associations as well as for condominium associations, mixed-use developments, and commercial properties. Our locally recognized services can help to lower operating costs and elevate your quality of living. To learn more or to talk about your community, contact us today over the phone or by filling out the form on our website.